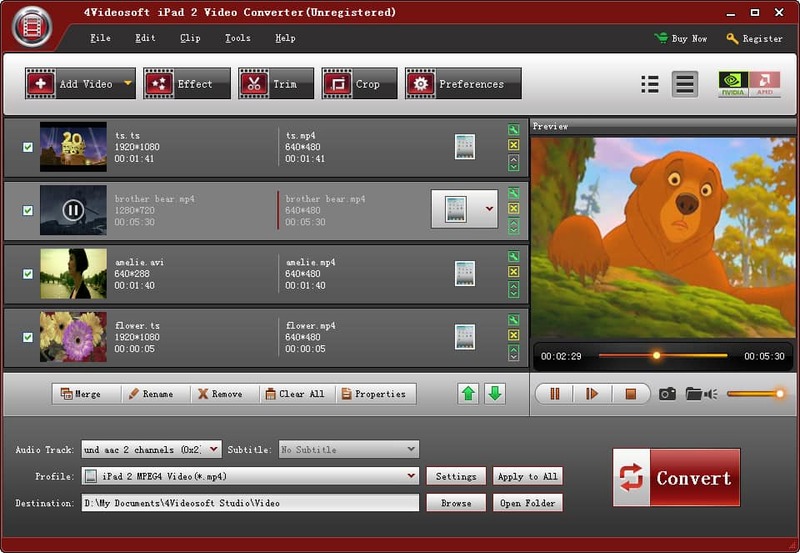 4Videosoft iPad 2 Video Converter can assist you to convert a wide range of videos and audios for watching or listening on your iPad 2, as well as on iPod, iPhone and many other media players. It provides you more editing functions. 6X faster conversion speed with NVIDIA? CUDA? and AMD APP technology.